I set up Singing for Unity in the summer of 2016, during a spike in hate crime and intolerance, to show the power of singing to build community and heal divisions. I live and work in diverse neighbourhoods like Peckham and Brixton, and I was upset to see that people were being made to feel unwelcome where they lived. I believe in the power of singing and I wanted to use song to challenge intolerance. 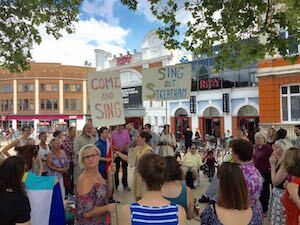 Singing For Unity is a series of public singing workshops bringing people together to sing songs of unity in the face of the recent peak in hate crimes and intolerance. 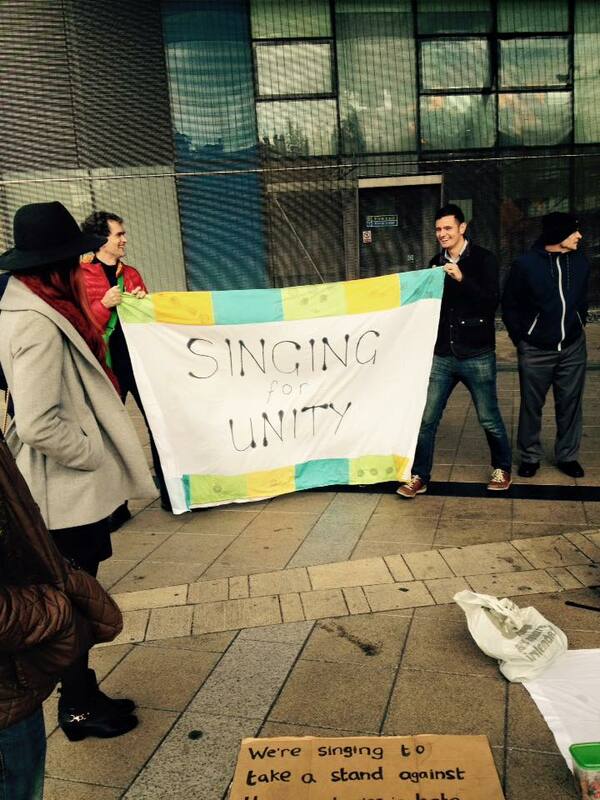 We’ve done public singing demonstrations of positive, inclusive in empowering songs across London and Cardiff. Singing for Unity is a movement, so if you’d like to run your own event in your community, get in touch with me! After the referendum there was a lot of anger and violence, and it was really difficult to know what to do about it. 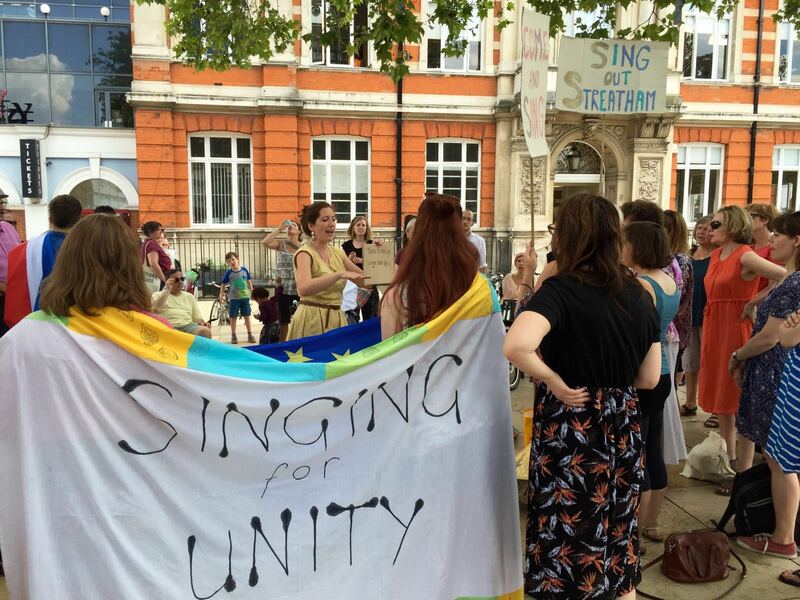 Being part of Singing for Unity made me feel useful: you could see that it made a difference to the people who heard and joined in with our songs. Singing is definitely a force for public good! We brought new and experienced singers together to challenge hate crime and intolerance through singing.